Is your garage door bothering you? Allow us to help you! ASAP Garage Door Repair is the leading provider of garage door repair in Bergen. Backed with an industry experience of over many years we guarantee our award winning garage door repair service for you and your family. 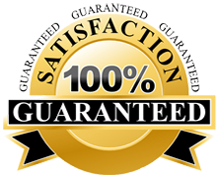 For a free quote, call ASAP Garage Door Service providers in Bergen, NJ at (201) 628-0104. We ensure premium service delivery to all our customers by using only certified expert repair technicians. At ASAP, we pride ourselves on making use of the highest quality products and services for any garage door repair you need. If you are planning to upgrade your traditional garage door with a stylish new one or purchased a garage door and need it to be installed, ASAP Garage Door Repair experts can assure you world class professional services at highly competitive prices along with free estimates. We value your time and money! At ASAP, we understand that it is not every day you shop for a new garage door. This is one main reason we offer a wide range of modern wood, custom-made and metal garage doors and guide you to select the one that best meets your needs in Bergen. After installing your new garage door, our professionals will ensure the safety of your door by providing follow-up services and provide full maintenance if required. Any time of the day or the night when you feel something is amiss with the garage door, don’t let the problem wait to worsen, just dial (201) 628-0104 and our experts will reach is the shortest possible time span. We offer same day inspection and repair services as well. For free quote call us or apply online – internet users can fill out this short form and get instant free quote. You need to take care of your garage door to prevent the thriving of termite and moisture effects. Cleaning the wooden garage door is easy and doesn’t require much time and effort. Here is one of the common methods to clean the garage door. •	Mix mild household detergent mixed in 5 gallons of warm water for wiping the door. Rinse off the dirt, greases and other particles accumulating on its surface. •	Now Rinse the door with clean water and let it dry. •	You can use toothbrush to remove the dirt, grease and debris. Make sure you don’t damage the paint coating. •	Prime the area with oil or alkyd primer if you find some part of it thin and eroded. Why should I replace my garage door opener? Garage door openers are the important mechanisms in the garage door. Though they tend to be long lasted, replacing them can give you a better function. The updated openers come with improved safety, convenience and safety. For example, garage door openers after the mid 90’s were used to be equipped with the safety reversing mechanism. The newer versions don’t make the noise as they have screw drive or belt drive garage. They are secure because they have a rolling code feature, meaning that you need to change the code every time you use it. Well, you need to consider many points while purchasing a new garage door. •	Think about the budget. There are variety of garage doors and their cost is determined by the material they made of. •	Do you need an insulated door? •	Consider the safety factor. •	What is your taste and which style you like? Can my existing Garage door be automated? Yes, you can automate your existing door, thanks to the digital technology making it possible. The automation cost is reasonable. You can operate your garage door by the smartphone swipes. However, it depends on the model and the condition of your garage door, for example, a dented or distressed door may not work well with the automation feature. Tracked garage doors are the great choice for the automation. This entry was posted in Bergen on April 25, 2014 by admin.